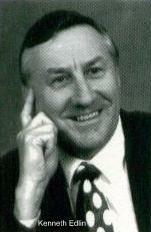 An Inheritance Obtained Too Early in Life is Not a Blessing in the End. There's another version that suggests ultimate problems for those who obtain an inheritance dishonestly. 45 Then Pharaoh gave Joseph a new Egyptian name, Zaphenath-paneah. 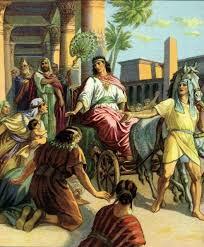 He also gave him a wife, whose name was Asenath. She was the daughter of Potiphera, the priest of On. So Joseph took charge of the entire land of Egypt. 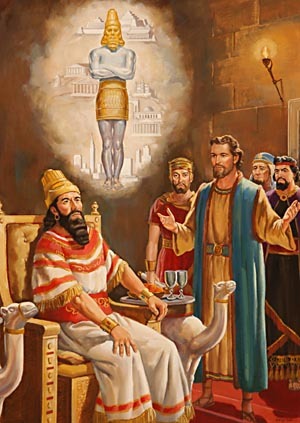 46 "Then King Nebuchadnezzar threw himself down before Daniel and worshiped him, and he commanded his people to offer sacrifices and burn sweet incense before him." 48 "Then the king appointed Daniel to a high position and gave him many valuable gifts. He made Daniel ruler over the whole province of Babylon, as well as chief over all his wise men." 14 “Enough of this nonsense,” Joab said. 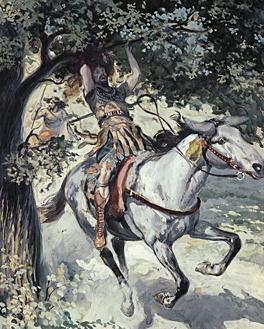 Then he took three daggers and plunged them into Absalom’s heart as he dangled, still alive, in the great tree. 15 Ten of Joab’s young armor bearers then surrounded Absalom and killed him. 16 Then Joab blew the ram’s horn, and his men returned from chasing the army of Israel. 17 They threw Absalom’s body into a deep pit in the forest and piled a great heap of stones over it. And all Israel fled to their homes. 9 Adonijah went to the Stone of Zoheleth near the spring of En-rogel, where he sacrificed sheep, cattle, and fattened calves. He invited all his brothers—the other sons of King David—and all the royal officials of Judah. "25 So King Solomon ordered Benaiah son of Jehoiada to execute him, and Adonijah was put to death." Many hastily became kings...look what happened! 23 Omri began to rule over Israel in the thirty-first year of King Asa’s reign in Judah. He reigned twelve years in all, six of them in Tirzah. 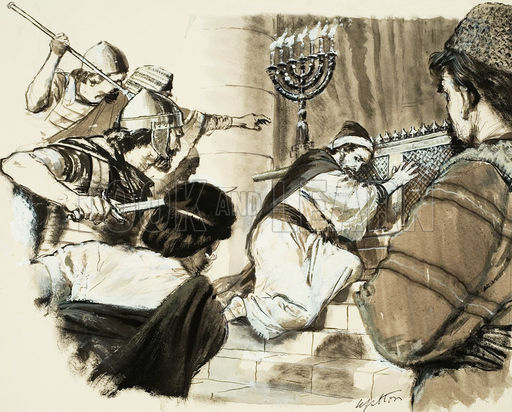 24 Then Omri bought the hill now known as Samaria from its owner, Shemer, for 150 pounds of silver. He built a city on it and called the city Samaria in honor of Shemer. 29 Ahab son of Omri began to rule over Israel in the thirty-eighth year of King Asa’s reign in Judah. He reigned in Samaria twenty-two years. 30 But Ahab son of Omri did what was evil in the Lord’s sight, even more than any of the kings before him. 31 And as though it were not enough to follow the sinful example of Jeroboam, he married Jezebel, the daughter of King Ethbaal of the Sidonians, and he began to bow down in worship of Baal. 32 First Ahab built a temple and an altar for Baal in Samaria. "But people who long to be rich fall into temptation and are trapped by many foolish and harmful desires that plunge them into ruin and destruction." v.5 "Lord, you alone are my inheritance, my cup of blessing. You guard all that is mine.